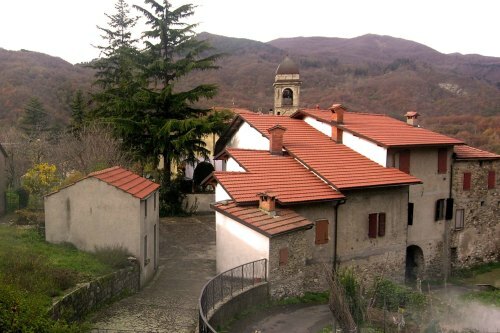 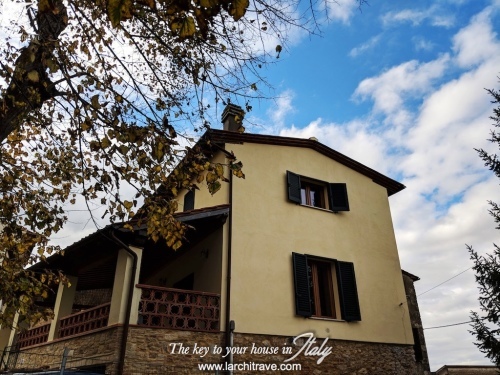 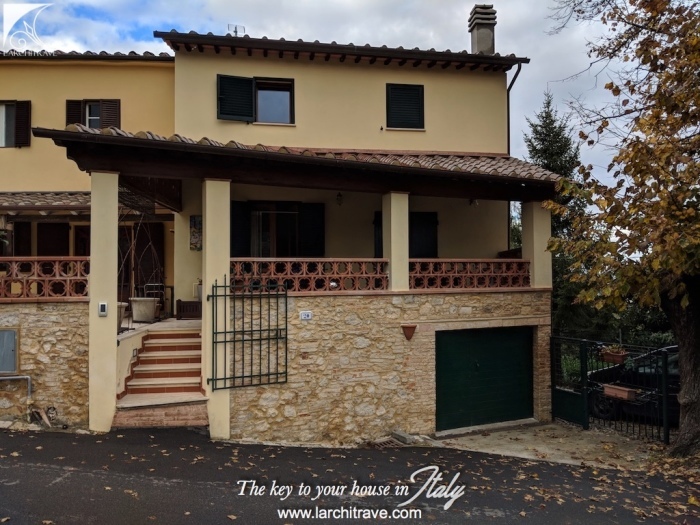 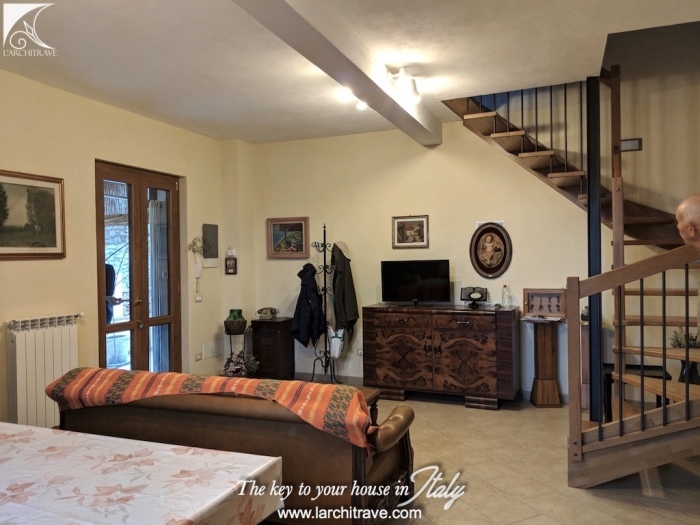 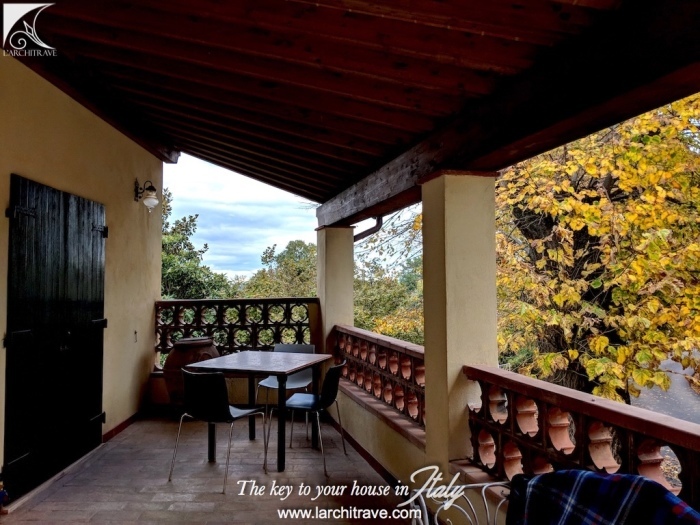 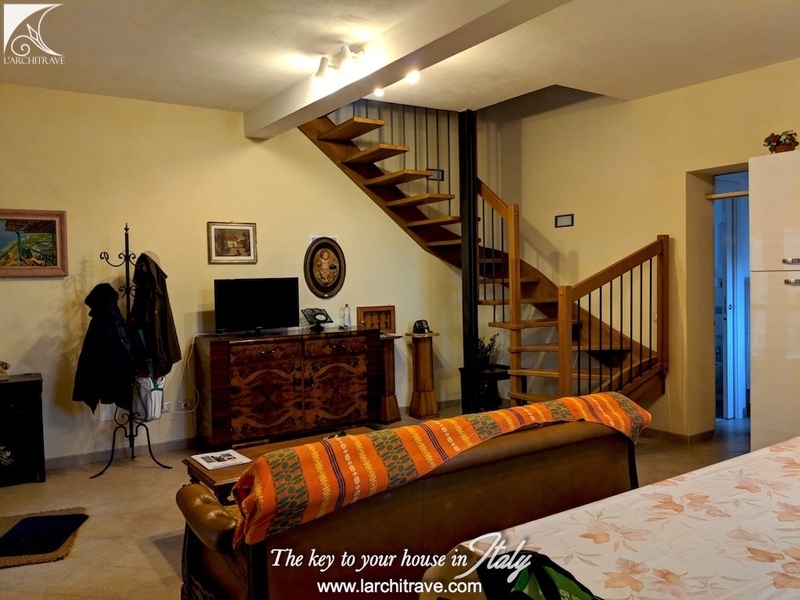 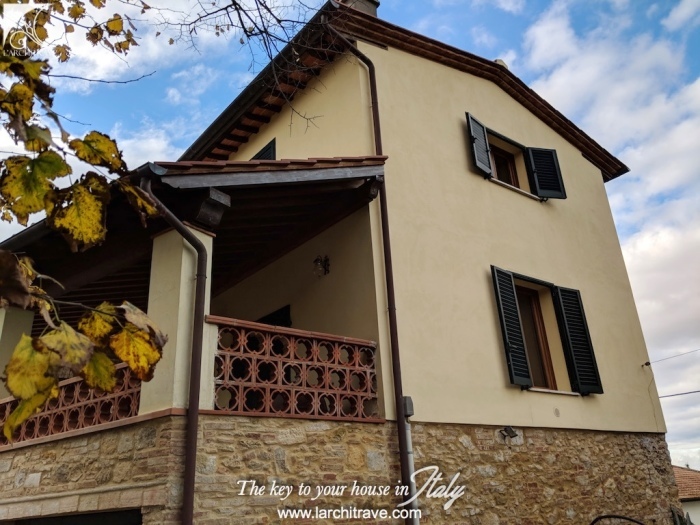 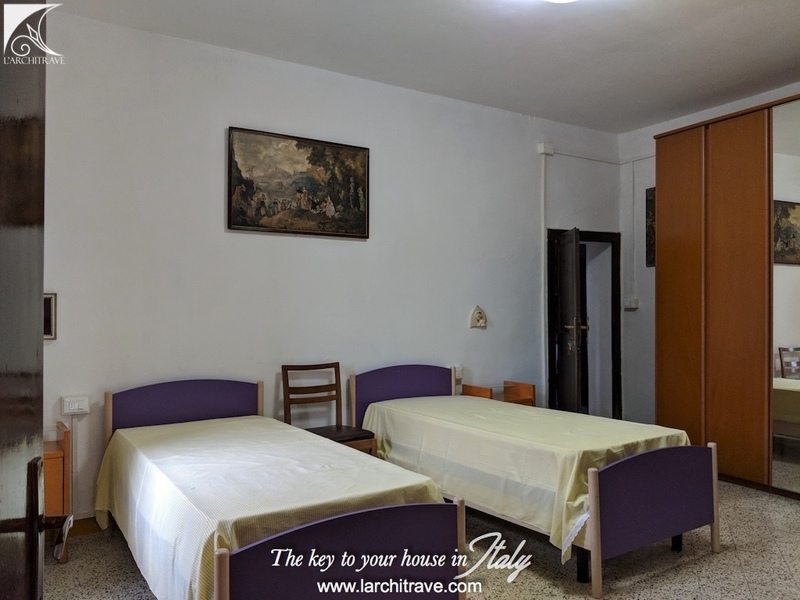 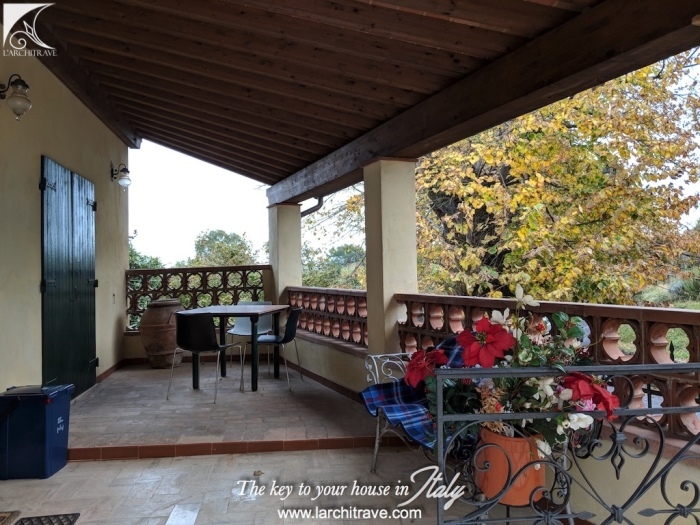 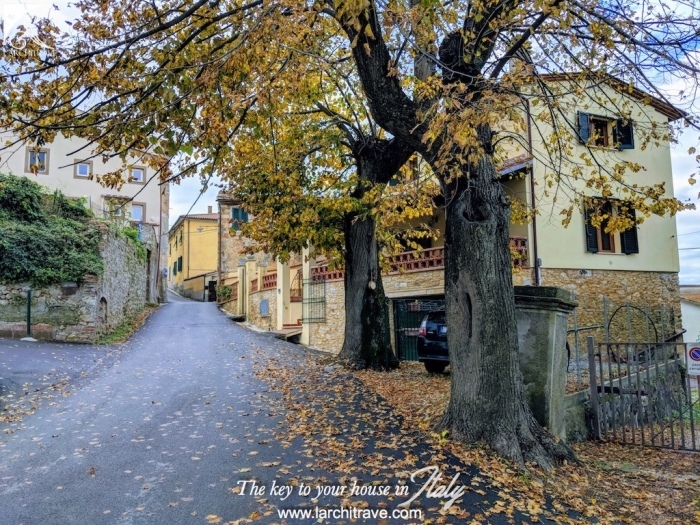 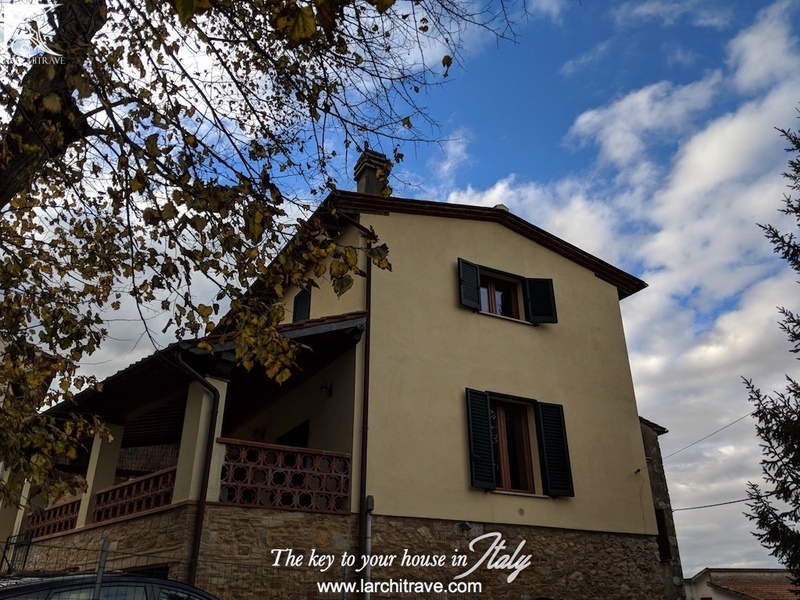 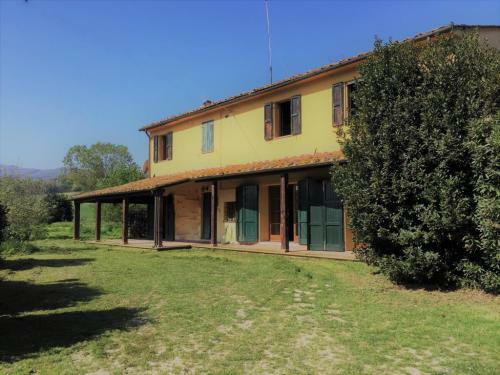 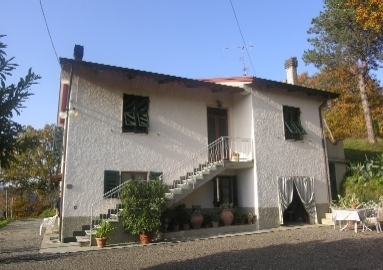 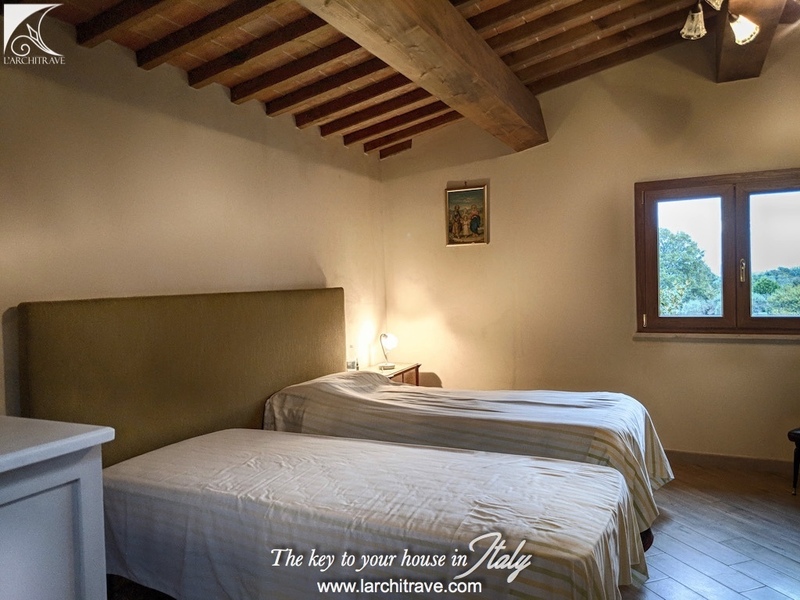 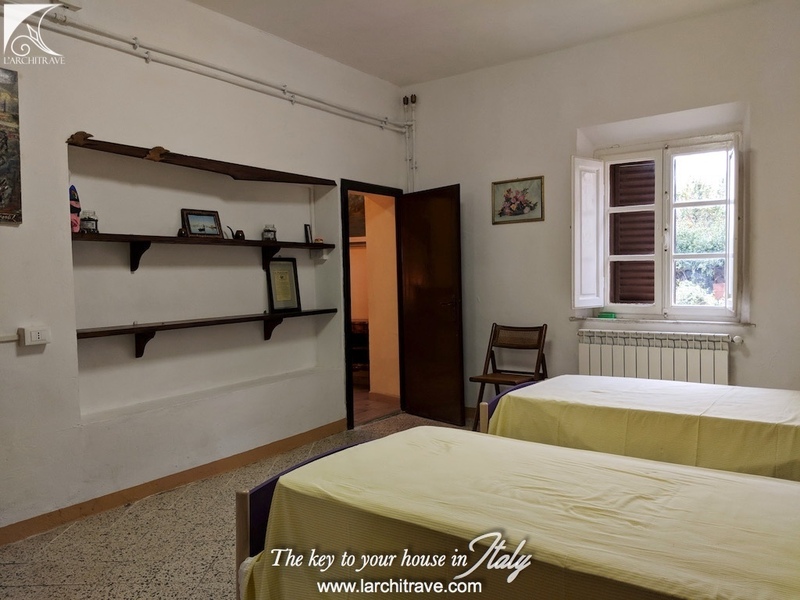 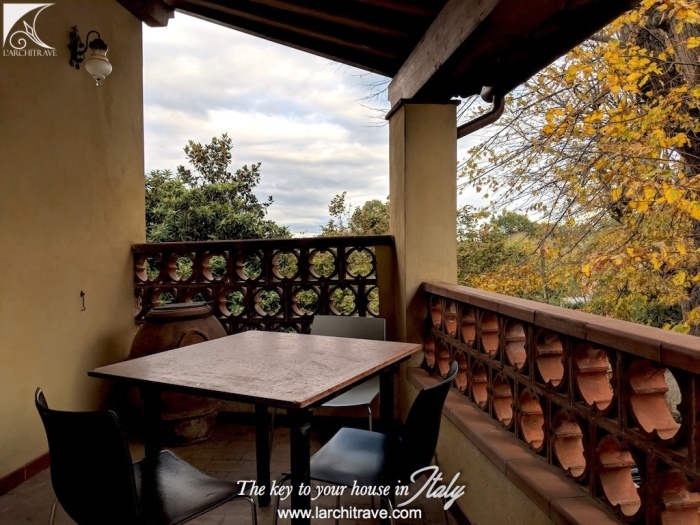 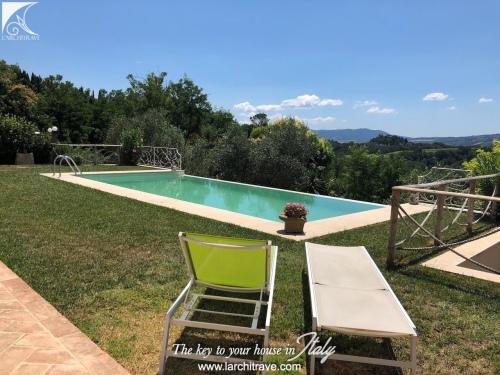 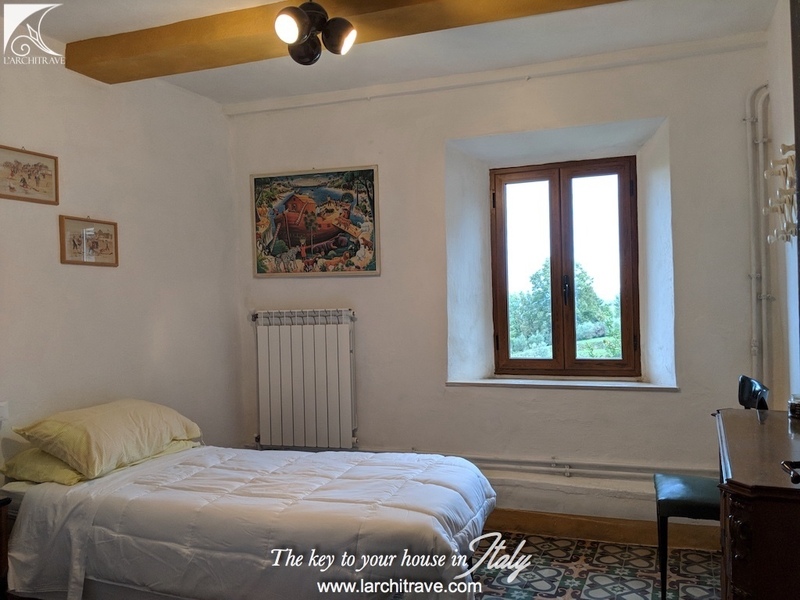 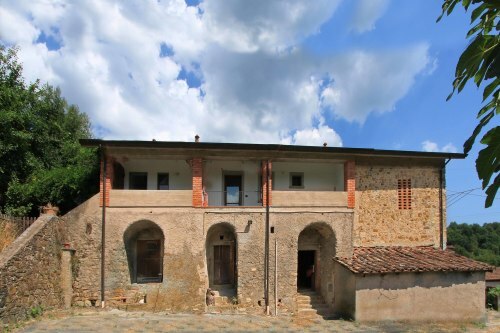 Beautiful, spacious four bed character property on a quiet, tree-lined street, in a pretty village in the heart of Tuscany. .
A great feature of the property is the generous covered terrace to the front, ideal for dining 'al fresco', or for barbecues, or family games. 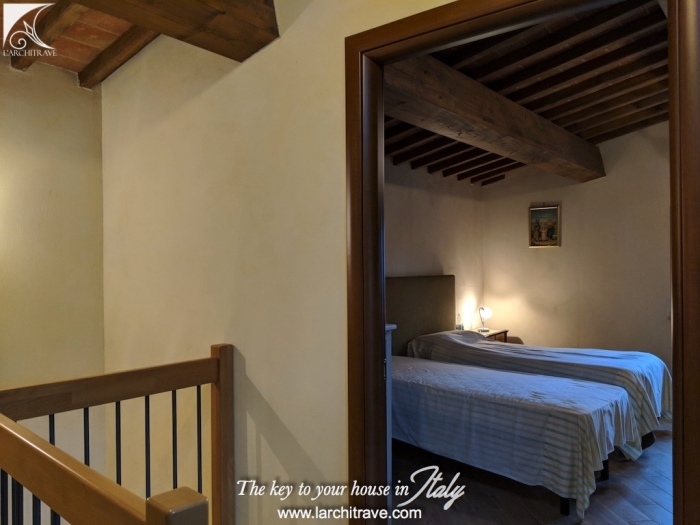 Across the hall upstairs are another two double bedrooms, again, generous in size and in the original style, with a further bathroom. 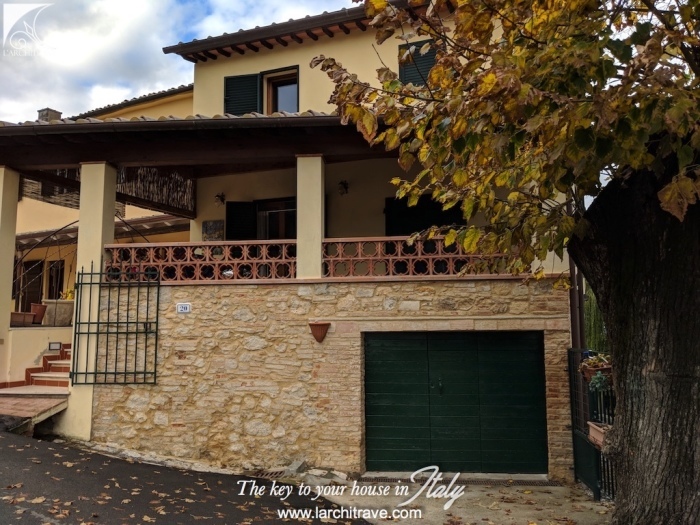 There is private parking to the side of the property and a garage. 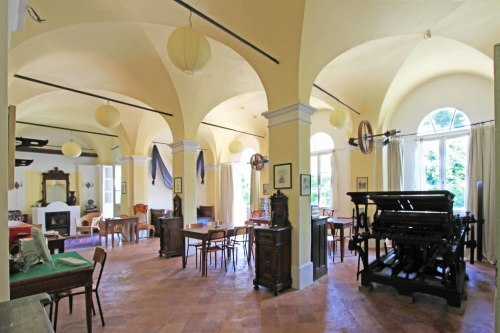 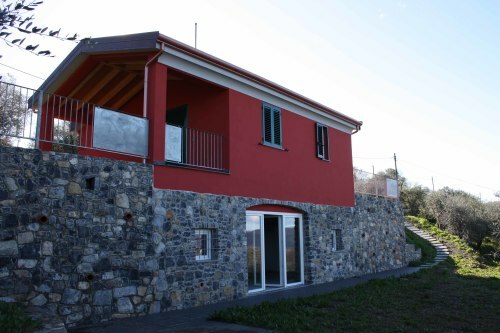 The property comprises the major portion of the building - downstairs forms half of the building, upstairs stretches the full width of the building. 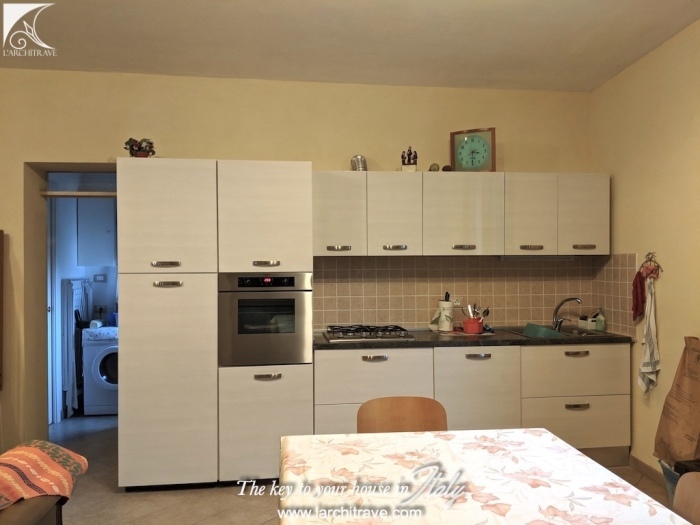 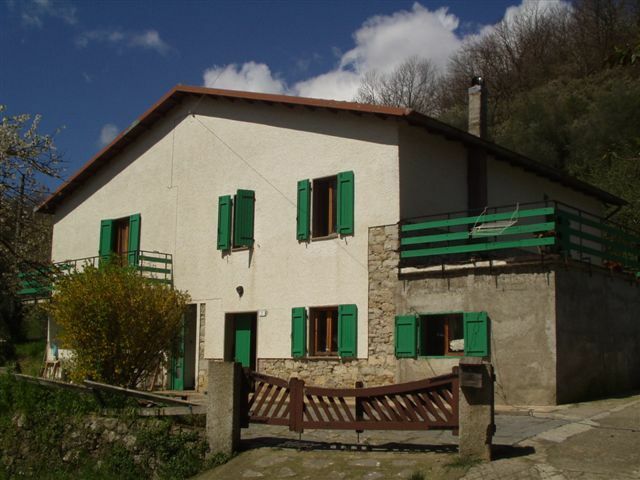 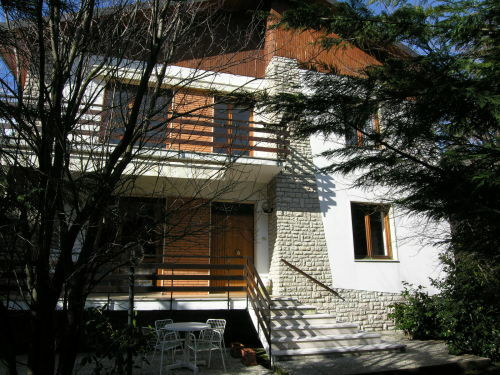 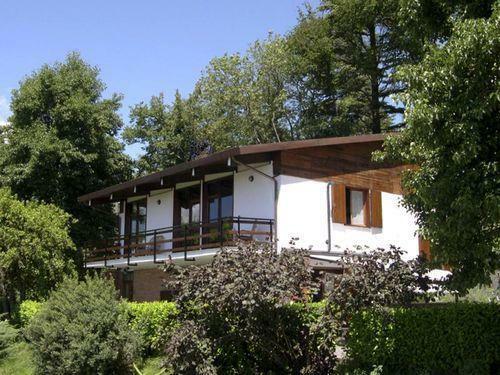 This house has good potential for letting during the long summer season, or it could also the perfect home to live in.